As the time passes by smartphones with better hardware and software are entering the market, they all have the same strategy sell better hardware for expensive prices and for those who can’t afford leave them with second grade smartphones, because of which customers can’t enjoy all the features and the internet facilities that smartphones has to offer nowadays at its best. Normally a phone with good specs is sold around $600 or even higher and not everyone wants to go for phones that expensive and because of that they are left with two options either go for a cheap phone with cheap hardware or get a smartphone that is already obsolete. Motorola Moto G does not provide the best of specifications but considering the price tag it has, its the best hardware feature set that anyone can have at such a low price. Those are some pretty good hardware specs considering the price that is USD $179 with 8GB of storage and USD $199 for 16GB. 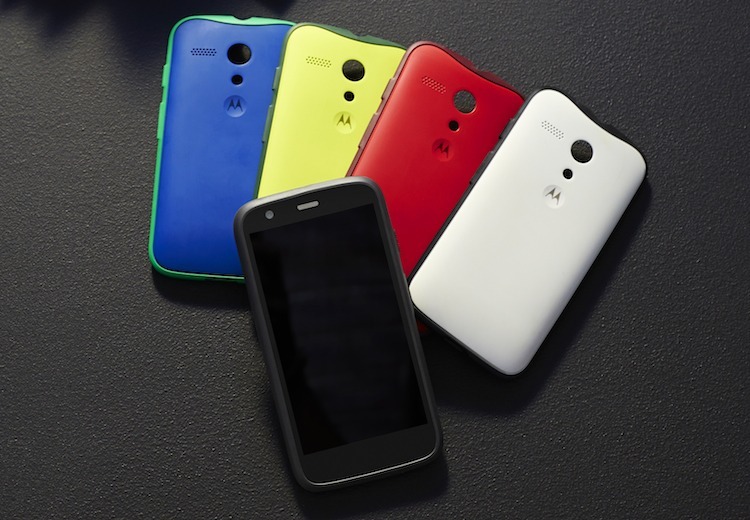 Just like the Moto X, Moto G also comes in 7 different colors and 5 different grip shells. You can try any combination that you like.What Motorola is doing is pretty generous letting the average customers get what they always wanted without keeping the price tag in mind and with a price like that we are sure a lot of users would happily go and get the phone maybe that’s why it’s called “An Exceptional Phone At An Exceptional Price”. It’s great that companies like Motorola are looking into bringing the new and latest hardware at an affordable price in the market and it surely poses a great challenge to the so called cheap iPhone 5C. Moto G will be going on sale this week in Brazil and some other parts of Europe and in the next few weeks or so it will be available almost everywhere like all over Asia, America and Canada etc. Moto G will be in more than 30 countries with 60 partners by 2014.